This is a delicious easy weekend brunch option or quick meal when everyone is hungry and you need to get food on the table quickly. 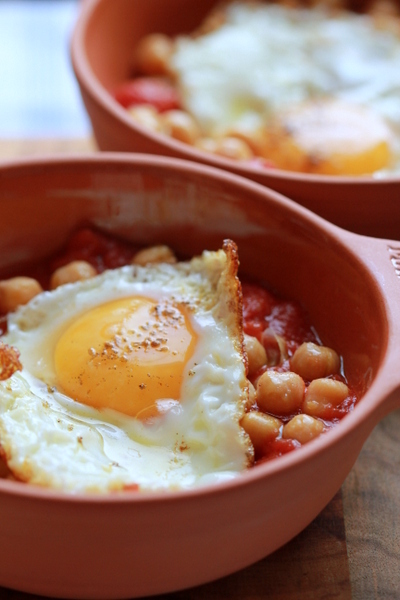 This dish gives a great bang of protein from the eggs and chickpeas together with the goodness of the tomato sauce and a hint of heat. Heat oil in a large ovenproof pan over medium-high heat. Add onion, garlic. Cook on a medium heat until onion is soft, about 8 minutes. Add chickpeas, spices and cook for 2 minutes longer. Add the tomato passata. Bring up to a gentle boil, reduce heat to medium-low, and simmer, stirring occasionally, until sauce thickens slightly, about 15 minutes. Separate the chickpeas across a large oven proof dish. Crack eggs one at a time and place over sauce, spacing evenly apart. Transfer to oven and bake until whites are just set but yolks are still runny, 5–8 minutes. sprinkle over a little more paprika and serve with bread for dipping. Shape into small cakes about 4cm wide 1 cm deep. Heat oil in a small saucepan, add onion ginger and chilli and gently fry for 10 minutes until the onion is softened. 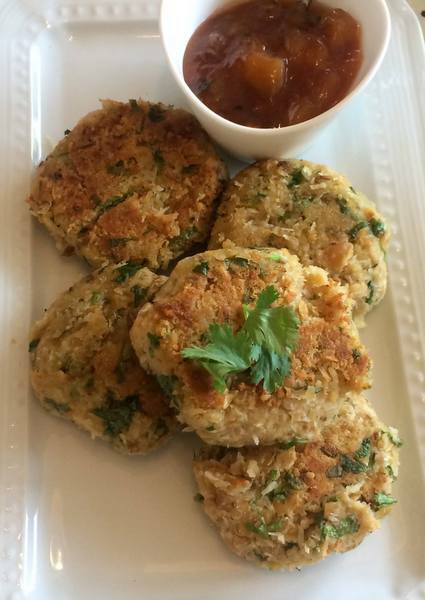 Leave to cool and serve with the chickpea cakes.